• Destructible is frangible; it breaks apart into tiny pieces on removal. 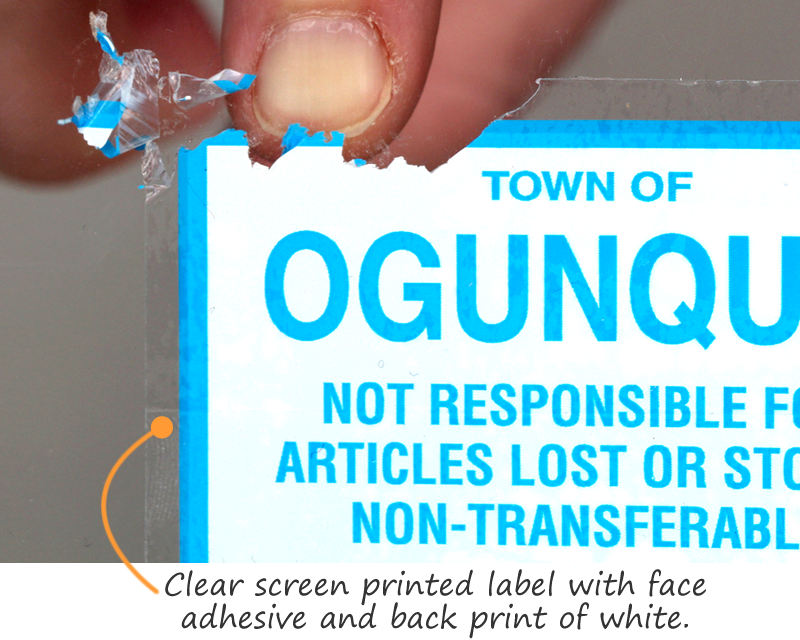 You'll easily see if the seal or label was broken. 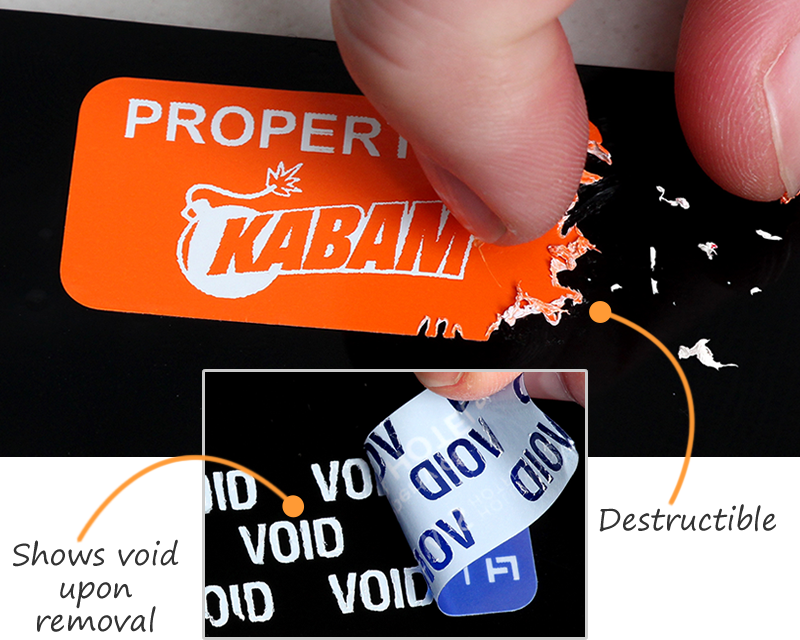 • Voiding shows a repeated “VOID” pattern on removal, and cannot be reused. 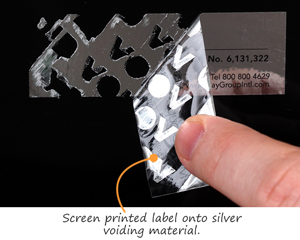 • Choose 3 printing options: Screen Printed are the most durable. 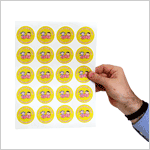 Thermal Printed are sold in rolls and cards at a minimum of 25. 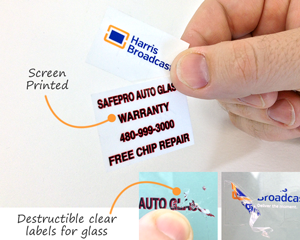 Digital Printed labels also have low minimums and are available in full color at no extra cost. 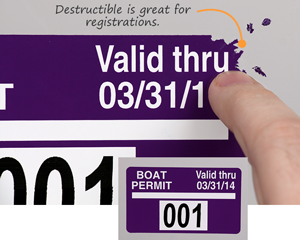 • Ideal for warranties, property ID, and safety instructions. Sequential numbers or barcodes on labels make it easy to track each device. Great for warranty seals. 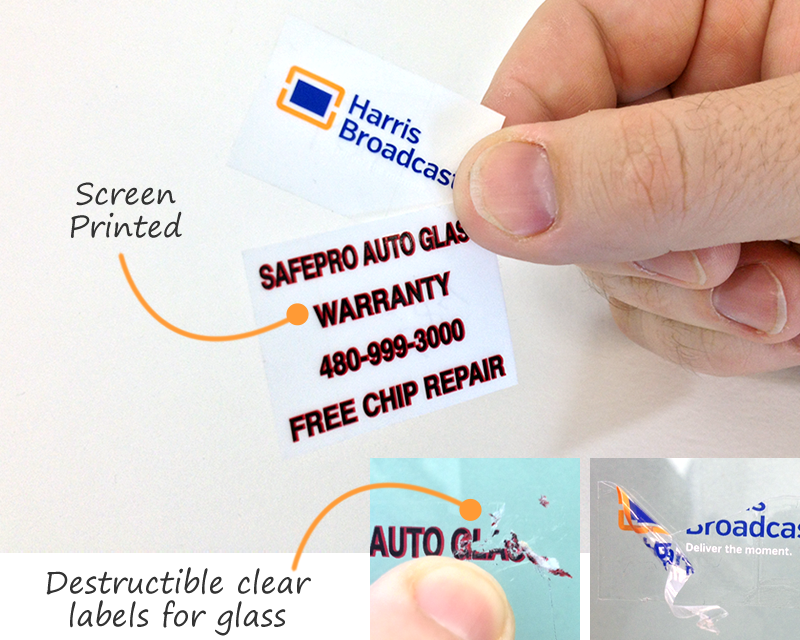 Tamper evident labels are very effective and look great with a silver finish. 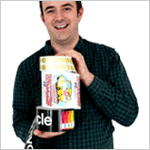 See why this added security feature is a good idea for your labels. 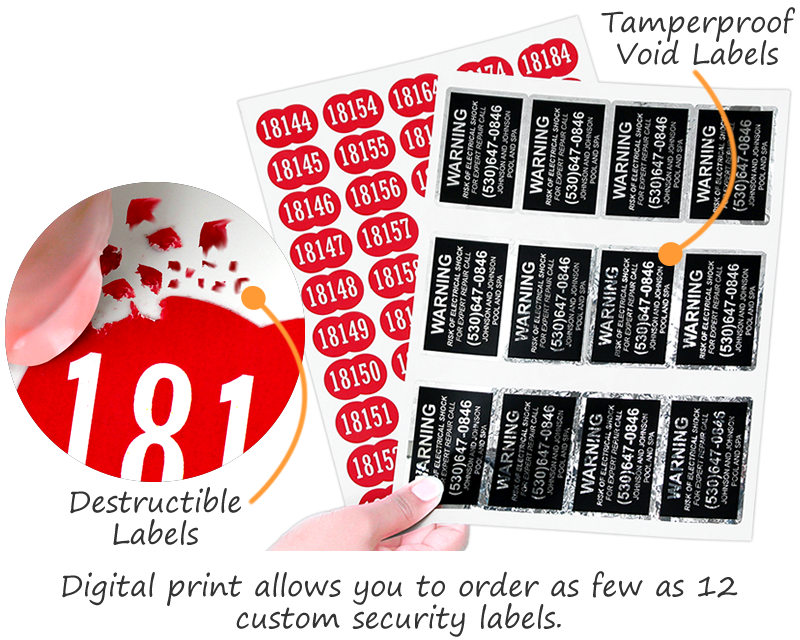 Tamper evident labels add extra security.